On this page you'll get an overview of your data storages. Click on "Choose data storage" to edit the data. Please note that this dialog has TWO pages. Use the tabs at the top of the dialog to change the current page. 1. Your local default profile (that you normally use when working with Outlook). You will probably use this as your first data storage. 2. A list of all locally used data storages. 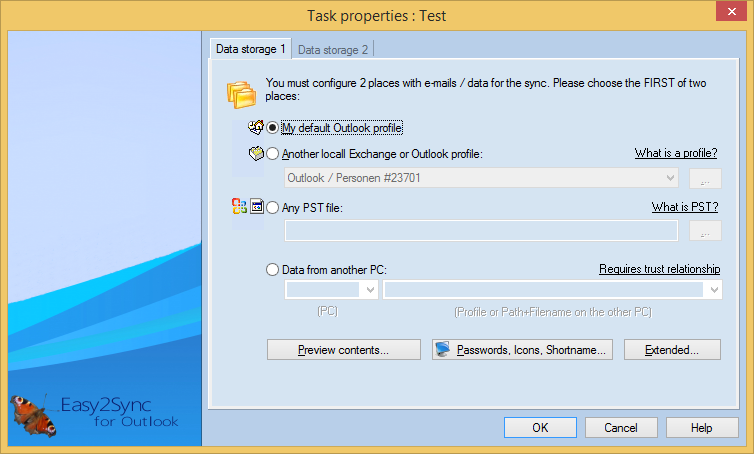 You can force Outlook to insert any PST file / Exchange profile into the list by opening the PST with Outlook or adding it at "Start > Control panel > Mail > Profiles". 3. Any PST file. 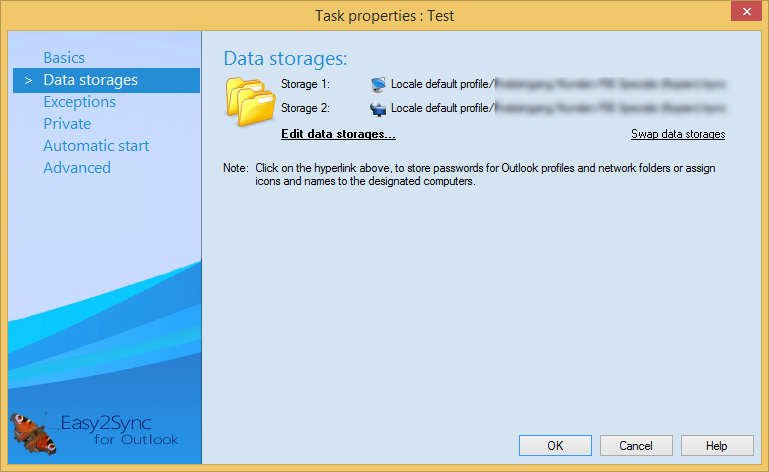 Usually you will use this option for the second data storage, since this allows you to use PST files on remote computers (your notebook for example). Trick 1: If you are not sure if you selected the file, use the “preview” button for a quick look into the file. If you have two identical profiles with the same name and the same contents, you should use Outlook to create an e-mail in one of the profiles. This difference and the preview function allow you to identify the correct data storage.